The year that’s fast reaching its end saw Australian poetry host a number of strong collections by more experienced poets (Jennifer Maiden, Kate Lilley, Ouyang Yu, Kate Fagan, Matt Hetherington, Andrew Sant, Pete Spence), quite a few impressive debuts (by Toby Fitch, Lachlan Brown, Bonny Cassidy, Keri Glastonbury), a few ambitious projects (The Sunlit Zone by Lisa Jacobson, All the Way Home by Kristin Henry, Radar by Kevin Brophy and Nathan Curnow) and the collected works of Rosemary Dobson, who sadly passed away in June. The year also saw the passing away of the poet, priest and academic Peter Steele. 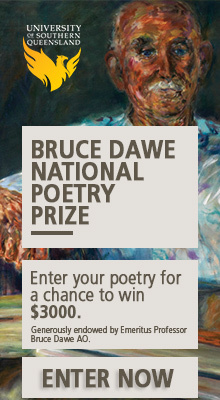 In terms of the main poetry prizes of the year, the winners were Luke Davies (Prime Minister’s Literary Awards, Poetry for Interferon Psalms), Gig Ryan (Kenneth Slessor Prize for New and Selected Poems), John Kinsella (The Victorian Premier’s Literary Awards, Poetry for Armour), Tracy Ryan (Western Australian Premier’s Book Awards, Poetry for The Argument) Peter Rose (Judith Wright Calanthe Poetry Award for Crimson Crop) and Mal McKimmie (The Age Book of the Year Awards, Poetry for The Brokenness Sonnets I-III And Other Poems). CJ Bowerbird won the Australian Poetry Slam National Finals, and last year’s Australian Poetry Slam winner, Luka Lesson, released the spoken word CD, Please Resist Me. It was a year, as with most other years, very short on serious, critical studies of poetry and, unlike most years, also short on poetry anthologies, with the year’s most notable anthology being, rather predictably, The Best Australian Poems 2012, edited by John Tranter. 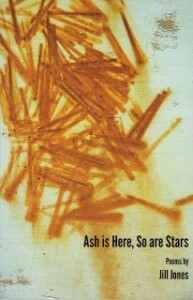 So much recent discussion of lyricism in poetry – as with most other discussions in poetry – has been focussed on form and language (the use of first person pronoun, the use of sound devices and imagistic phrases, and so on) and it is therefore very refreshing to read Amanda Anastasi’s first collection. Anastasi’s poems are carefully crafted, at times delicate and musical, pieces that are clearly not written to showcase their young author’s considerable skills in versification; they aim to focus our attention on the poet’s vision of the world, its people, places and politics. A confident and very promising debut. It is not only due to the freshness and intelligence of her very modern voice, but also due to her ability to produce so much consistently outstanding, original and incisive poetry, that I feel Jill Jones is one of the best poets writing in Australia today. In Jones’s oeuvre, quality and quantity are not at loggerheads; and her latest full-length volume (her second poetry publication for the year, the other being the chapbook Senses Working Out) is a collection of terse, evocative ruminations on contemporary life that turns linguistic conventions into malleable matter for Jones’s unique engagements with reality. It is not often that one can unreservedly recommend a collection by a contemporary, modernist poet to the so-called general reader – the kind of reader who will most probably have a fear of anything resembling a book of poems – but Michael Brennan’s latest collection, with its bizarre, magical, disturbing and often charming vignettes and narratives of life in an imaginary dystopia is precisely the lucid yet innovative writing that many a non-specialist reader could get excited about. With echoes of Borges, surrealism and Sci-Fi, Brennan’s poems beguile, entertain and unsettle their reader in equal measure. 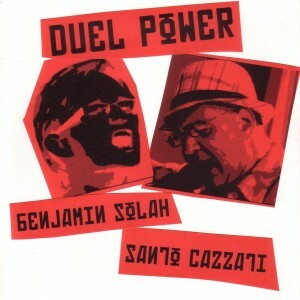 Melbourne spoken word artists Benjamin Solah and Santo Cazzati may make for an odd couple – in addition to being poets, the former is a political activist and the latter a concert pianist – but their collaboration CD, Duel Power, makes for a compelling and strangely coherent collection of well-produced recorded poems comprising Solah’s no-holds-barred, passionate denunciations of injustice and oppression alongside Cazzati’s absurdist, often hilarious rants that seamlessly combine Marxist theory with sharp depictions of contemporary society. A highly enjoyable, candid and original spoken word CD. One of the most ambitious and interesting literary projects of recent times, Jessica L Wilkinson’s poetic biography of the early Hollywood actress Marion Davies is a lively fusion of experimental poetry, creative non-fiction and exegetical reflection. 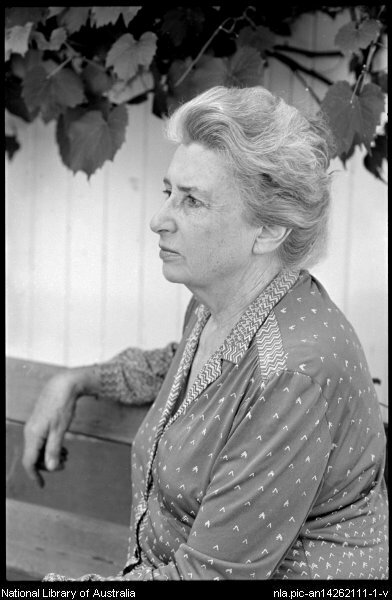 While covering all the major events and known facts about her protagonist’s life story, Wilkinson proposes a discourse on the objectification of women in culture industries through a virtuosic use of the tropes and techniques of avant-garde writing. An important new work, and a superb full-length debut publication. Lionel Fogarty has been one of Australia’s most singular poets as well as one of our most important Indigenous writers for well over three decades, and with this latest book – for which I had the privilege to write an introduction – he confirms his ongoing commitment to producing a potent poetry which is at once uncompromisingly political, unmistakably idiosyncratic, and deeply rooted in Aboriginal life and experience. 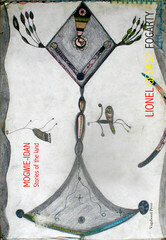 At times more meditative and humours than some of Fogarty’s previous works, Mogwie-Idan is highly recommended to both readers of its author’s past oeuvre as well as those who are yet to discover Fogarty’s energetic and powerful poetry. With the narrative verse having become a mainstay of contemporary Australian poetry, it is easy to overlook the great challenge of successfully combining the elements of fiction such as character, setting and plot with the elements of effective poetry. This is a challenge that Ali Cobby Eckermann overcomes masterfully in her historical narrative about a young Aboriginal woman’s physical and emotional survival and self-discovery in the aftermath of a frontier massacre. A compelling and dramatic story told in hauntingly sparse free verse, and one of the best examples of the narrative verse genre in recent memory – and the winner of the 2012 Deadly Award for Outstanding Achievement in Literature. John Kinsella is one of Australia’s and the Anglophone world’s most versatile and innovative poets, having participated in almost every poetic genre imaginable during his extraordinarily prolific career. In The Jaguar’s Dream he sets out to reinvent the idea of literary translation by offering neither faithful nor ‘free’ versions of a great number of non-English poems – he instead gives us his own distinctive English ‘covers’ of poems by Virgil, Villon, Rimbaud and Rilke, among others. These are enticing adaptations of some of the world’s greatest poems, full of surprise and curiosity, and further testimonies to their author’s exceptional talents. 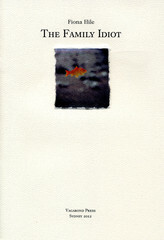 One of the best chapbooks of the year – published as part of Vagabond Press’s wonderful Rare Object Series – Fiona Hile’s debut collection comprises urbane, erudite and eloquent poems that avoid prosaic meaning and eschew simplistic representations of sentiment without appearing either abstract or inaccessible. These are witty, philosophical texts that resonate with the themes of gender, love and literature, and yet they are not reducible to these themes. Hile’s is an assertive and intriguing new voice in contemporary Australian poetry. The winner of last year’s Thomas Shapcott Poetry Prize, the poems in Water Mirrors are unusually subtle, assured and wise for a debut collection by a rather young writer. Powell’s poems start somewhat deceptively as finely crafted depictions of places and natural phenomena, before gradually drawing their reader into affective, insightful contemplations on being, desire and memory. Simultaneously lyrical and philosophical, youthful and meditative, this is the work of a uniquely gifted poet. Thanks, Mr. Cazzati. I’d absolutely love to see more Marxist-Modernism in contemporary poetry. Not a bad overview of the year, Ali. Good to see a self-publisher on the list. The hyprocrisy in Overland’s left wing ‘gloss’ is becoming unbearable, and this ‘top 10′ list is just the latest example. Recently, this journal has showed its true political stance by publishing and recommending an abusive satire by Angela Smith of my mother (Jennifer Maiden)’s genuinely left-wing poetry. JM’s poetry tries to create a space in which the right wing is held accountable, something which obviously frightened Smith and Overland. The way Alizadeh minimizes my mother’s work here also looks scared. Just one of a gaggle of ‘strong’ books, and you say you want more left-wing poetry? This sort of hierarchical list making is right-wing and pathetic, and most of the actual choices are conservative in style and spirit. I think left and right are today meaningless labels. The real struggle should be seen in terms of those who are opposed to freedom and human rights those who stand up for them. In which case, as history has demonstrated, both the left and the right have very clearly demonstrated they are opposed to. Its pathetic that people still pay lip service to these categories. Eugene’s comment isn’t as irrelevant to mine as it at first seems. The term ‘left-wing’ is context-dependant, of course, and is being used here as it was used by the original Murray-Smith, Reid ‘Overland’, not Leon Trotsky. Given that, the Eugene comment does seem in keeping with ‘Overland’s apparent current philosophy – see also the piece here recommending that the Left give up on ‘time’ and idealistic long-term planning, apparently partly because the (always symbolic) Occupy Movement didn’t result in instant revolution. If you want to read poetry that’s beautifully opposed to any sort of ideological repression(and is therefore left-wing in the original ‘Overland’ sense) Eugene, read my mother’s collection, ‘Liquid Nitrogen’ You’ll love it. Okay, if you take terms like freedom and human rights, and don’t draw meaningfully supported left / right takes on contemporary socio-politico-economic practises, what you get is unjust desserts – blancmange or fool politics – which is what ‘human rights’ and ‘freedom’ have become in today’s news currency. Poetic political representability in countries such as Australia is of a different semiotic order to both, unfortunately. Examples of how to write about human rights and freedom in both poetry and prose by the old Overland masters might allow me to see the error of my ways and move on from 101-ville. Does Mummy endorse the crusading on her behalf? The ‘holier-than-thou’ approach is tiresome. momentarily, as she repeats my reply.